Symbiotic Gut Bacteria and The Meaning of Life. How Does it Feel to be 1% Human? The last decade of research has advanced the understanding of life itself to such a degree that our definitions of “life” must now be adjusted. Until now, you may have regarded yourself as a singular entity; a “human being,” a “person” or just “me.” All of these terms indicate a belief system grounded in what is now an outdated concept. What if we were actually a cooperative group of organisms existing together for mutual benefit? Trillions of organisms, all sharing physical space and each contributing to the functioning of the whole. What if even our very consciousness were not a singular thing or the result of one personality, but more of a democratic/summative system or even a type of hive consciousness? All of these are functional realities to one extent or another. Oh, and one more thing…those human cells? They are in the minority and are outnumbered at least 10:1. Well, you might be thinking, a human being is defined by a specific genetic code, 23 pairs of chromosomes, a little over 21,000 genes that code for everything we are, right? Not so fast! 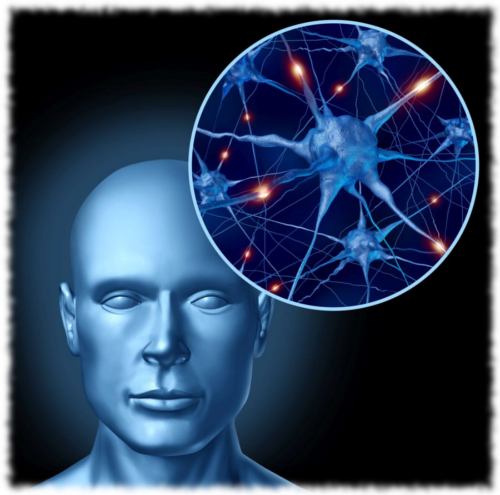 Genes do encode for the protein molecules that carry out life functions, but if a person were to develop with only those 21,000 genes the brain, nervous system, immune system, endocrine and digestive systems would not develop or function normally at all. So where does all the other information come from? “We” are an organism that includes several trillion symbiont organisms that all contribute genes. In fact, looking at a person from head to toe genetically reveals that the human genes are only 1/100th, or 1 percent, of the genes present. The majority of the remaining genome is bacterial in origin. We are only 1% or less human from a genetic standpoint! Scientists and researchers now know that the human body depends on this bacterial genetic reservoir of information for normal development and function. The human immune system, for example, is cultivated by the bacteria and “taught” how to function, what to kill and what to tolerate. Without this ancient genetic wisdom (bacteria have existed for an estimated 2 billion years) the human immune system does not function normally. Our brain is no different; without bacterial symbiont assistance the human brain is emotionally and functionally unstable. The result is an inflamed brain, anxiety and depression or schizophrenia, and an increased likelyhood of neurodegenerative diseases such as Parkinson’s, Alzheimer’s, or neuroimmune conditions such as Multiple Sclerosis. The digestive tract would not function normally either! Even our mind, that last refuge of a singular “self,” is not the result of a singular organism’s activities. Dominant colonies of bacteria wield significant influence on our mood, decision making and basic personality. Our appetite for specific food items as well as our overall appetite is heavily influenced by gut bacteria. Neurotransmitters that determine mood are both produced and consumed by the gut bacteria, exerting influence over mood. Neurotransmitter receptor sites in various specific areas of the human brain are sensitized or desensitized by symbiont bacteria. The result is a distinctly different emotional profile and personality! It is truly the result of the interactions of many organisms. Our human parts in turn “farm” these bacterial colonies to keep them viable and performing their needed tasks. After re-reading the previous discussion, you might be incredulous that life itself has been essentially redefined, and yet it did not really result in significant changes in healthcare practices. This is perhaps the most promising yet overlooked, proven yet controversial new development in decades. Healthcare is replete with legions of “singular organism, flat-earth-society” members who are slow to accept this new concept despite its promise of more effective interventions. As examples of the conflicts in logic that result, consider the following questions-each of which may be the subject of another blog post and are written of in The Symbiont Factor. -If the body is dependent on symbiont bacteria for normal function, what is the result of taking antibiotics? -If antibiotics are added to our food, what is the effect on our own personal hologenome? -If food is routinely disinfected, what is the effect on hologenomic diversity? -What are the long-term consequences of bacteria sharing plasmids (DNA fragments) that code for antibiotic resistance? -If symbiont bacteria maintain immune system function, why do we kill them in cases of infection or cancer, when the immune system is needed the most? -If so much physical and mental function depend on gut bacteria, why do we not evaluate the gut bacteria when something seems physically or mentally dysfunctional? -Where do all of these symbiont bacteria come from in the environment? -What is the effect of chemical environmental pollution on the potential microbiome? -How does nutrition affect their population demographics? -If two people have differing microbiomes, would a given medication affect them differently? -Do different birthing and childcare practices affect the hologenomic outcome? 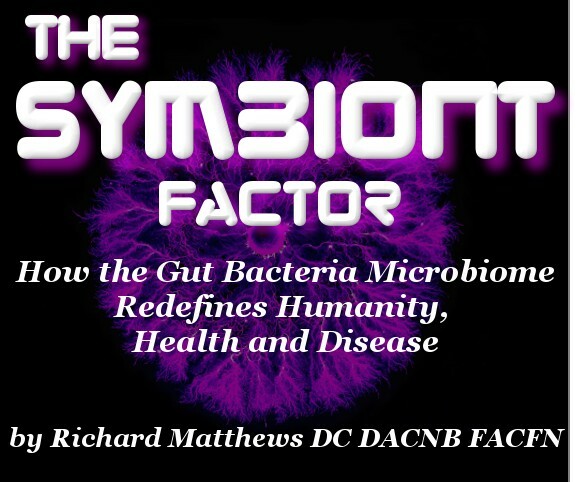 -If the bacterial symbionts have such an influence on human emotion and personality, why is this not addressed in psychology and psychiatry practice? -How does being a holobiont with such a diverse colony of bacteria provide an evolutionary or competitive advantage? As we move forward into the 21st century, we must strive to add holobiont concepts to the practice of healthcare and teach individuals why “taking care of yourself” might need to become “taking care of each other.” Perhaps better pollution control, for example, would be more meaningful if people understood that it isn’t only to save some small toad that lives far away, but also to save the bacterial diversity that our future depends on. Perhaps parenting practices would mean more when the importance of imparting a beneficial microbiome/hologenome to our children is better understood. 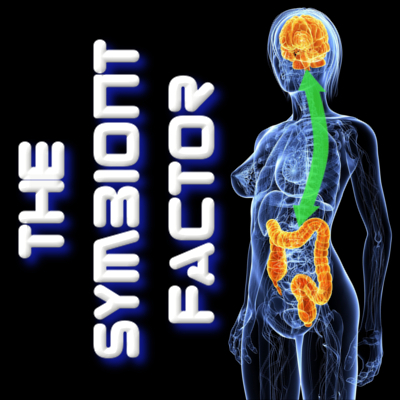 These concepts form the basis for The Symbiont Factor, referenced with more than 1300 peer-reviewed research papers and due to be published by 15 June 2014. This entry was posted in Uncategorized and tagged ADD, ADHD, alzheimer's, antibiotic, anxiety, asd, autism, autonomic, bodybuilding, childbirth, depression, DNA, evolution, fatty liver, fermented, fermented foods, genetics, gut bacteria, holobiont, hologenome, iflammation, kefir, kombucha, lactobacillus, midwife, neurology, prebiotic, probiotic, resistance, speciation, symbiont, symbiosis, symbiotic, synbiotic on April 29, 2014 by Dr. Richard Matthews.